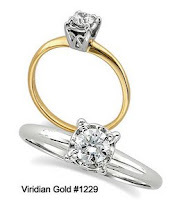 When determining what size spacer bead to purchase, first take into consideration what item of jewelry the bead will be added to - will it go on a chain necklace or bracelet, or a charm holder? 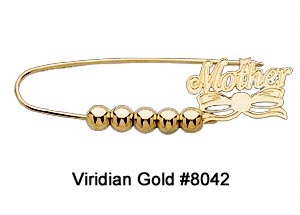 Next, figure out the millimeter width of the item on which you want to add the bead. If it's a chain, how wide is chain? How wide is the clasp? If you are unsure, reach for the nearest ruler. Rulers frequently have millimeter measurements opposite the inch measurements, and millimeters are what are needed for a chain width measurement. Place your ruler on a flat surface in a horizontal position, and then place your chain across the ruler in a vertical position. Make certain you are looking at the millimeters, not inches - now determine an approximate chain width. The measurement and weight table, found at the end of each spacer bead description on our website, will provide you with information to help you in your selection. 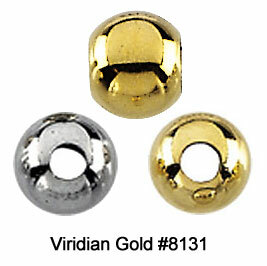 For example, our Round Spacer Bead #8131, pictured above, is available in 3, 4, 5, 6 and 7mm widths. Take a 5mm bead - the outer diameter of that bead measures 5 millimeters (for inches, divide the 5mm width by 24.5 - the number of millimeters per inch. The result is 0.20 inch, or approximately 3/16 inch). The "hole diameter", or bead opening, is also found in the measurement table. The table tells us that the opening for the 5mm bead measures 2mm. 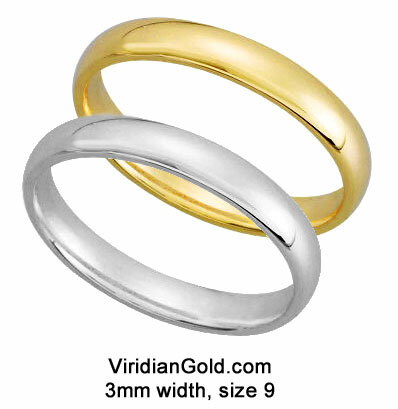 This is large enough to accommodate a 1 to 1.5mm width chain. But first check the clasp - if it's wider than the bead opening, you (or your local jeweler) may need to temporarily remove one end of of the clasp in order to place the beads. Usually, the wider the bead diameter, the wider the hole or bead opening. Smaller spacer beads are frequently used to separate charms on a charm holder, such as our Safety Pin Charm Holder #8042. 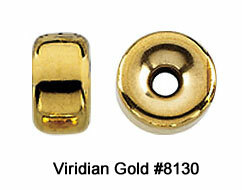 The openings of the smaller beads can easily accommodate the width of the gold wire on our charm holders. 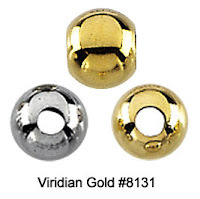 You may choose from round, corrugated and roundel beads, such as our Roundel Spacer Beads #8130 - all available in several sizes. If you are still unsure of what size you need, please feel free to call. We are happy to assist you with your selection.